From left, new Trillium House President Aaron Scholnik and past President Dan Mazzuchi. MARQUETTE — After years of work and planning, the Trillium House, an eight-room hospice house located at 1144 Northland Drive in Marquette, opened its doors to the community for a housewarming party Thursday night. “It’s a dream come true for a lot of people,” said past Trillium House President Dan Mazzuchi, noting “never have I seen such passion and commitment from people, (as I have) around the idea of building Trillium House.” The project has been in the works for over five years, said Mazzuchi and current Trillium House President Aaron Scholnik, with construction on the building beginning last summer — while a specific opening date hasn’t yet been set, board members said they expect Trillium House to officially open its doors in July. Trillium House was designed with the aim of providing a home-like environment for people receiving hospice care at the end of their lives. While many who are receiving hospice care stay in their own homes for care, sometimes it isn’t feasible or comfortable, especially if the person lives alone or doesn’t have family members in the area to help — the goal of Trillium House is to provide a peaceful, homelike experience for residents and families. “All of us saw circumstances that needed an option like Trillium House,” Mazzuchi said of the inspiration for creating Trillium House. Visitors to the housewarming event had the chance to tour the eight private rooms at Trillium House, which are designed with residents and their families in mind — each room features a full-size, handicap-accessible bathroom, a comfortable sitting chair, as well as a pull-out couch and another area that can be converted into a bed, which gives residents the option of having two family member spend the night with them. 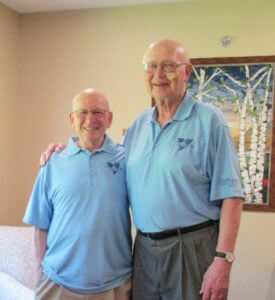 “The families and, of course the resident, have full use of all the facilities, it’s their home,” said Scholnik. The rooms are lovingly decorated to create a peaceful, homelike atmosphere, with unique artwork and quilts donated by local artists adorning each room. Board members said light was a major focus in the building’s design — the common areas and each private room offer natural light from a window that gives residents a view of the forest and gardens outside of Trillium House. “This view is one of the big reasons why we bought this property, because every one of the eight rooms here has a view of the woods, the point is that people who are in an end-of-life situation need to be able to see nature,” said Trillium House Board Member Robert Kulishek, noting that residents will be able to view trees, gardens, water and wildlife from the large windows in their rooms. Visitors also had a chance to tour the common areas, which include a large living room and dining space, a kitchen and mediation room that serves as a quiet space for visitors and families, as well as the extensive grounds of Trillium House. In addition to serving as a residence for hospice patients, Trillium House will also offer short-term respite stays, which allow a person to stay at the house for a number of days, before returning to their own home, as short-term respite stays can give caregivers much needed time to catch up on rest and daily tasks. Board members spoke of their appreciation for the major support from the community on the project, noting the entire $2.25 million in construction costs was entirely paid for by donations and pledges. Furthermore, they said they were impressed and pleased that construction came in “on schedule and under budget.” They also thanked the community for the many generous donations from businesses, agencies, organizations and community members that allowed them to furnish Trillium House. However, board members said, Trillium House will need the community’s continued support to fund the house’s annual operating costs. “Trillium House will have a revenue structure that includes fees as well as solicitation of public support,” Trillium House’s website states. “Our planning is based on up to half of the annual operating expense being offset by fees while the other half will be generated by limited fundraising effort.” They believe this model, which is based of the model of Omega House, a hospice house in Houghton, will be successful due to Marquette’s population base and community support. They encourage community members to volunteer or donate if they’re able to, as well as spread the word throughout the community about the services offered through Trillium House. 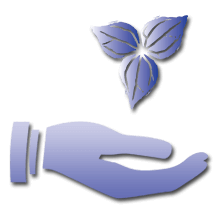 “Also following in Omega House’s example we will keep operating costs to the minimum required to provide care and will rely on trained volunteers to a great degree.” Trillium House operate using a daily care fee that will use a sliding scale fee, based on each patient’s ability to pay. “No one will be turned away for financial reasons,” its website states. For more information on Trillium House, visit https://trilliumhospicehouse.org or call 906-264-5026. For the Trillum House’s housewarming registry, visit https://trilliumhospicehouse.org/housewarming/.